The European Union MDD Directive defines precise rules for the products covered by the Directives. The products must be built for the safety of the patient and the medical staff. The product development process is very demanding and we now want to portray our customers what aspects have been taken into account. Medical-PC looks like a computer, but much more accurate norms apply than on any other computer. On this part we focus on Medical-PC produc development through EN60601-1-2 tests, as they define the most stringent restrictions on what kind of Medical-PCs companies can manufacture. EMC consists of different radiomagnetic radiation, at different frequencies that interferes with sensitive medical devices. The Medical PC must be below the radiation limit values ​​set by EN60601-1-2. The first important step in the designing process is the design of a suitable frame. Choosing the right materials that hold radiomagnetic radiation inside the device and where heat management can be carried out in a durable manner, thereby ensuring a long life cycle of the device. The computer’s motherboard and the layout of its components on the circuit board determine the case size. 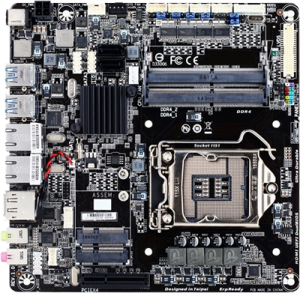 The motherboard is the foundation of the design and determines the suitability of the device for the demanding environment of the treatment area. What makes choosing particularly difficult is that no manufacturer manufactures motherboards for Medical-PC devices. The market is far too small for huge motherboard manufacturers. Therefore, the Medical-PC manufacturer has to find the best selection on the standard market. Proper interfaces, support of operating systems, good EMC filtering, but above all a huge amount of testing is needed. There are only a few motherboards the meet the general requirements on paper, and from these the most appropriate has to be selected based on thorough testing. The motherboards are not designed for passive cooling which is one of the most important features of a medical-PC. You need to know how the placement of different components on the motherboard affects heat management and how they produce radiomagnetic radiation when it is heated. This can only be demonstrated by long-term testing and measuring values ​​in different situations. These presentations save time considerably in terms of product development. It is more difficult to get a wrong type of motherboard through the EMC tests. The processor is of great importance for the life cycle and heat management of the device. The more powerful the processor, the longer the life cycle, but the more difficult it is regarding heat management. An efficient processor and good heat management can be resolved on a separate PC, but in a panel-PC design the heat management is restricted, because of the display and the size of the device. 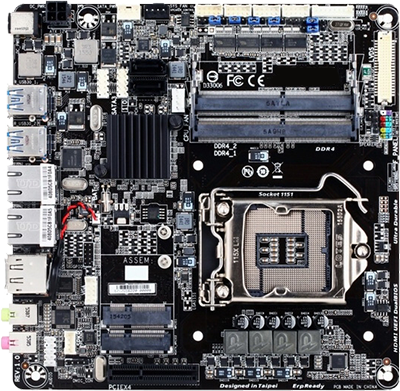 When the right motherboard has been found; The case, its cooling elements, and the positioning of the gate openings are planned and eventually CAD-modeled. Each motherboard model is an individual and the components and ports are different from those of the other motherboards. CNC machines require precise settings and customized tool heads have to be produced for different work steps. When ultimately product development produces a prototype after months of development work, the final testin begins. When theories begin to transcend into practicality, and when the device also works in the controlled tests, it is time to start the EN60601-1-2 tests which is carried out by an authorized test facility. EMC tests are very demanding. A well-designed case can leak radiation at different frequencies. Experience, however, helps to control and prevent radiomagnetic radiation. The tests do not give a rating, but everything needs to be right. 99 points / pass of a test is not enough, only the full points mean the success of the test and the EN60601-1-2 certification passage. Test facilities also require a detailed document on risk management. The test facility will issue a signed certificate, enabling the medical-PC manufacturer to enter the required EN60601-1-2 requirement in his CE certificate.